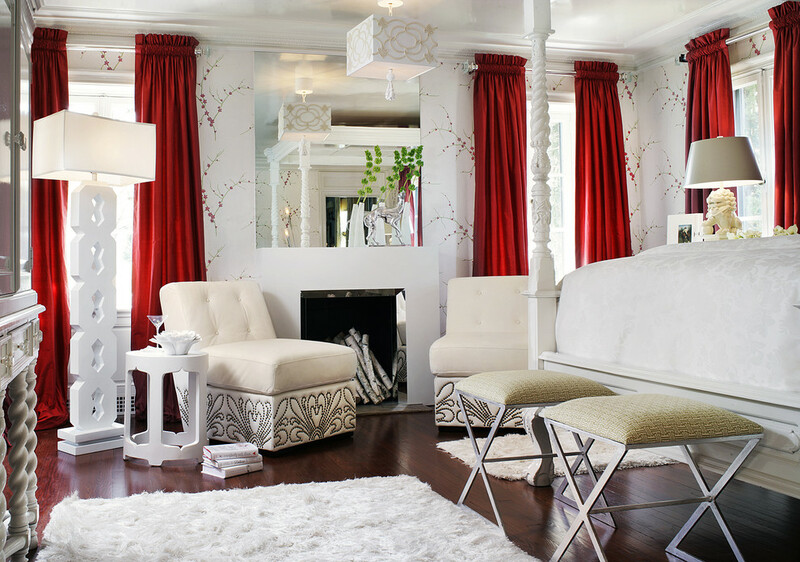 A nice set of drapes can take a room from boring to beautiful in the blink of an eye. In fact it can be argued that no room is complete without window treatments. But even the most beautiful set of drapes won’t do a room any good if they’re not properly hung. Before you just toss them up there without a second thought, make sure you know how to hang drapes the right way. 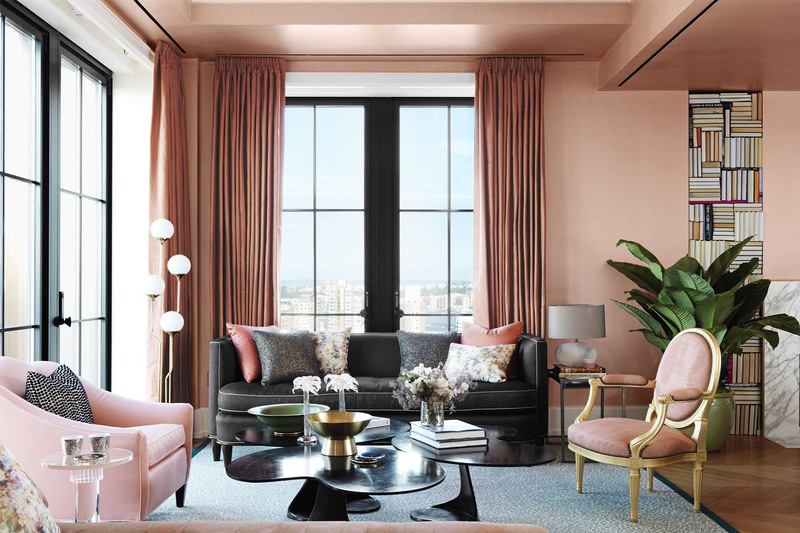 The trickiest part of hanging drapes is knowing where to put the curtain rod, and it differs based on a few factors – the style of the window, the type of window covering, and the height of the ceiling. For standard drapes that hang on either side of a window, the typical height is halfway between the top of the window casing and the ceiling. This applies if there are more than 12″ between the window trim and ceiling. For cathedral ceilings try to leave approximately 4 to 6 inches above the window trim as a guideline. No matter what the ceiling height, the minimum distance from the top of the window casing to the curtain rod is 2″. To create the illusion of height mount the drapery rods close to the ceiling. This is particularly important to do if the room has low ceilings. Remember that these same rules apply when the windows are arched. The standard distance from the window casing to the end of the curtain rod (excluding finials) on each side of the window should be 4″ to 10″. 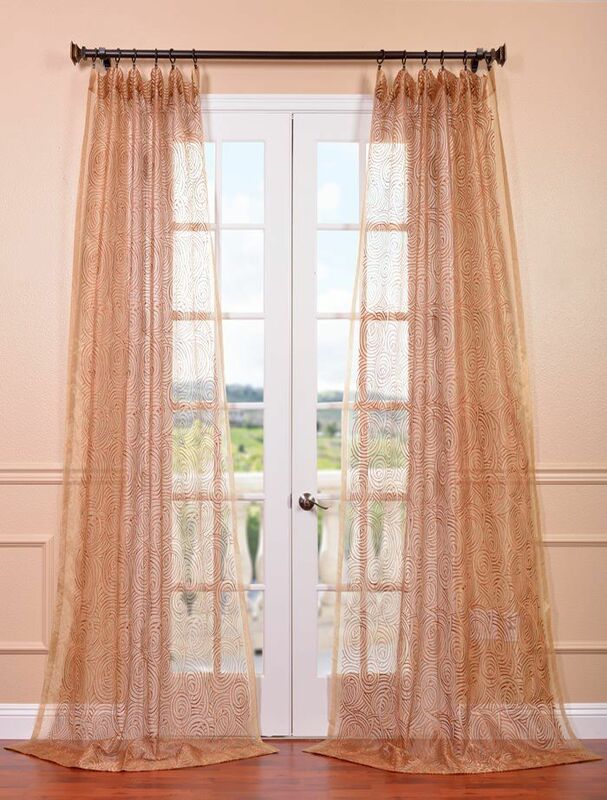 As a general rule you’ll want the drapes open during the day so make sure the curtain rod extends at least 4″ on each side of the window’s inside frame. To create the illusion of a wider window have it extend up to 10″ beyond the window’s frame. 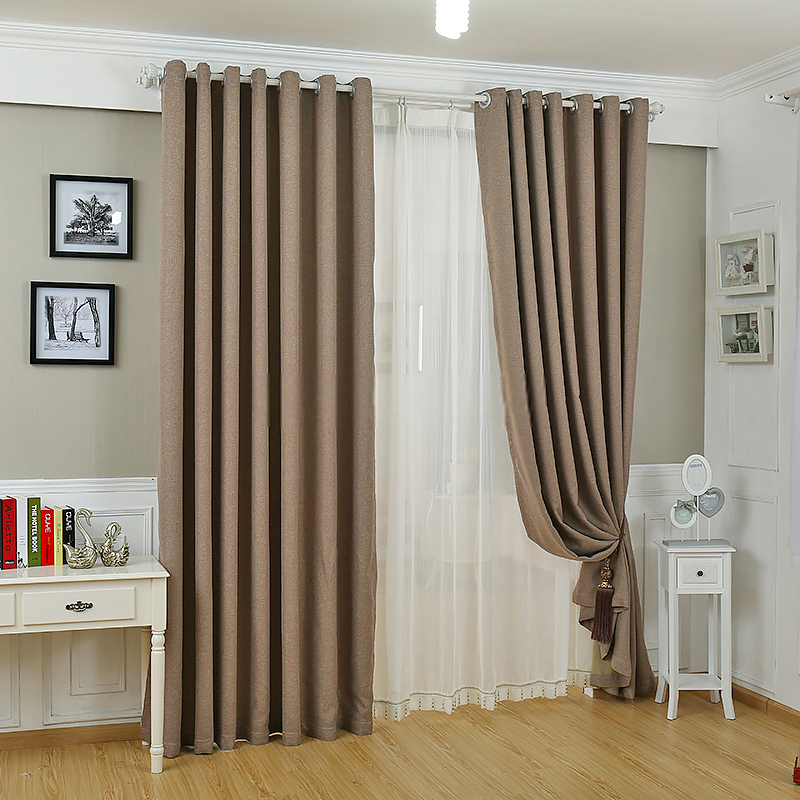 In the majority of cases the ideal length for drapes is that they’re long enough to just kiss the floor. Obviously where you hang your curtain rod will have an impact. If you’re purchasing ready-made drapes it will be a bit of a balancing act to determine what length to get and where to hang the rod. 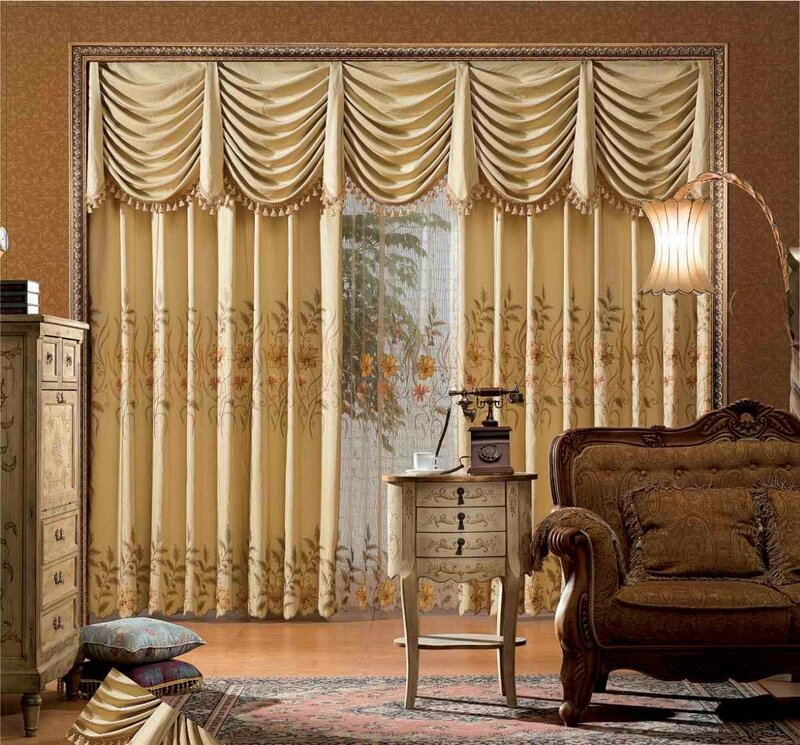 For a traditional, formal look consider drapes that puddle on the floor by a couple of inches. This look isn’t as popular as it once was but it’s inherently luxurious and can still work in formal spaces. Do not allow your drapes to hang above the floor. When they stop a couple of inches above the floor it can make the ceilings look lower. 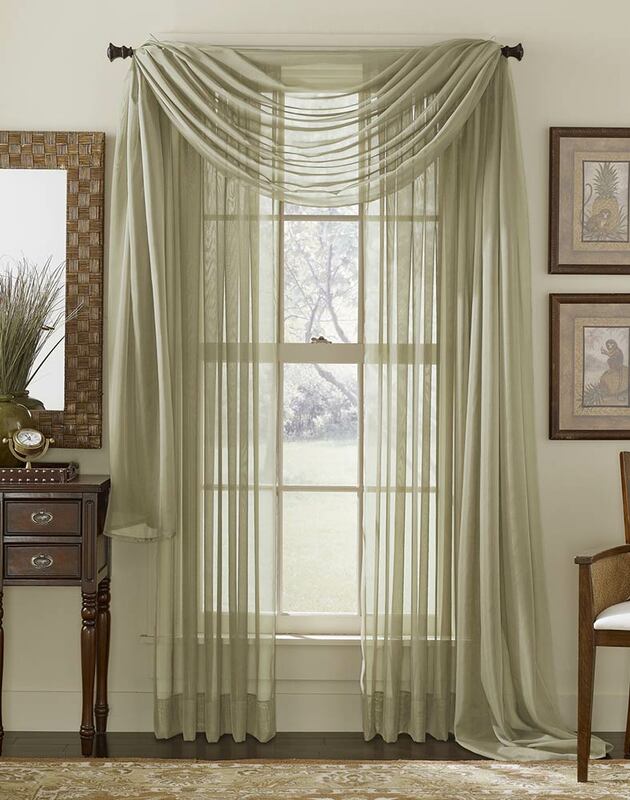 In order for drapes to look full, the panels should have a combined width of at least double the width of the window. So if you have two panels each one should equal the width of the window. Keep in mind that some fabrics hang differently than others, so light fabrics may require more fullness, while heavy fabrics may require a little less. Curtain rods and finials should compliment the drapery fabric. 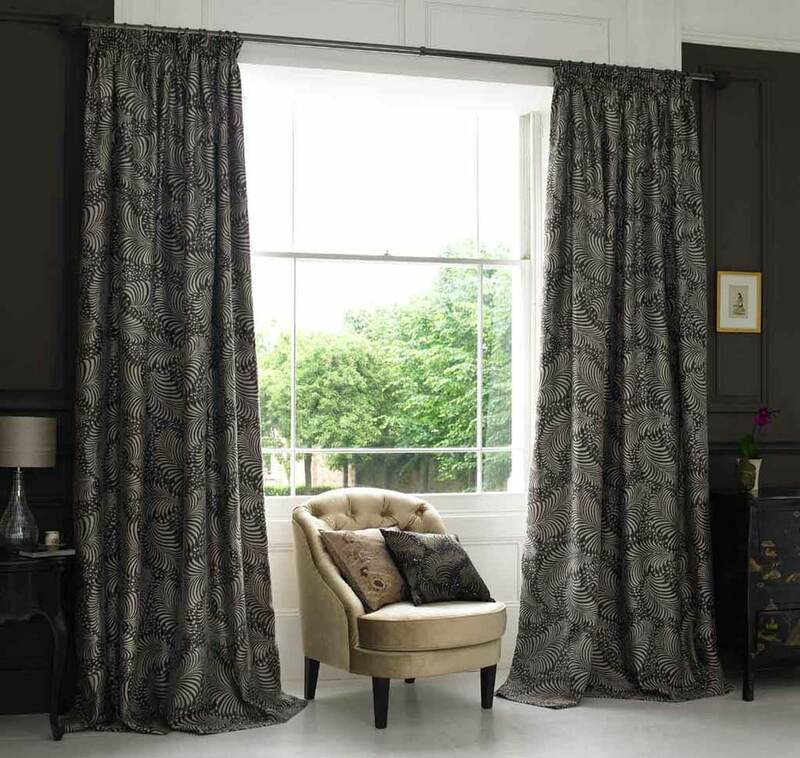 Heavier fabrics such as velvets and chenilles should be on large, somewhat decorative rods, while light cottons and sheers can be mounted on lightweight, daintier rods. The hardware should also compliment the rest of the room. 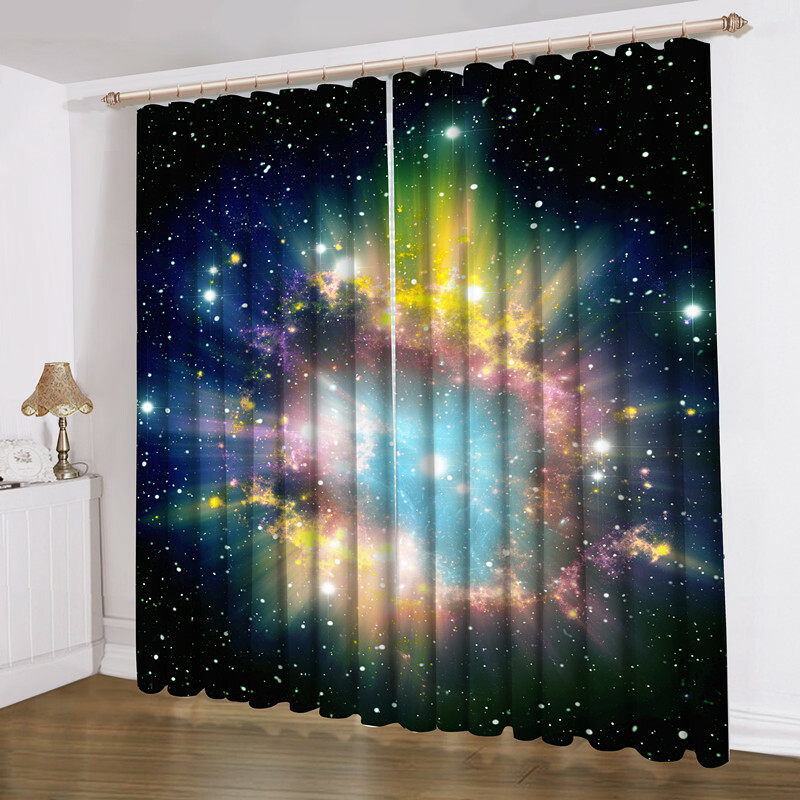 Make sure curtain rods connect to something nearby. For instance, if you’ve got Lucite lamps or chairs, a Lucite drapery rod might be in order. Or if you have oil rubbed bronze hardware in the rest of the room, a similar curtain rod may be the best choice. Also consider the finials at each end of the curtain rod. Finials are decorative accents that can have a surprisingly big impact on a room. If the finials are particularly large take their size into account when determining placement.